Oreck XL portable vacuum cleaner, model BB870-AD. Very Handy, portable cleaning system! Want a very handy vacuum for 'on the spot' cleaning? These are everything they're 'touted' to be. I had my doubts, until I bought one of my own. Very handy with 3 dogs and 3 cats. There's always 'emergency' messes. No, it won't do what my 5hp ShopVac will, but I keep one in the closet near the kitchen and use it all the time. Great for picking up the dog hair around the cabinet bases. This one has been completely cleaned and checked out. Comes with all the attachments shown. The Crevice and upholstery tools, as well as the floor head. It works so well that we picked up one to take to the shop as an electronics technician vacuum (official 'technician' vacuums are VERY expensive). This unit also works a bit better than their earlier 'canister vacuum' version. 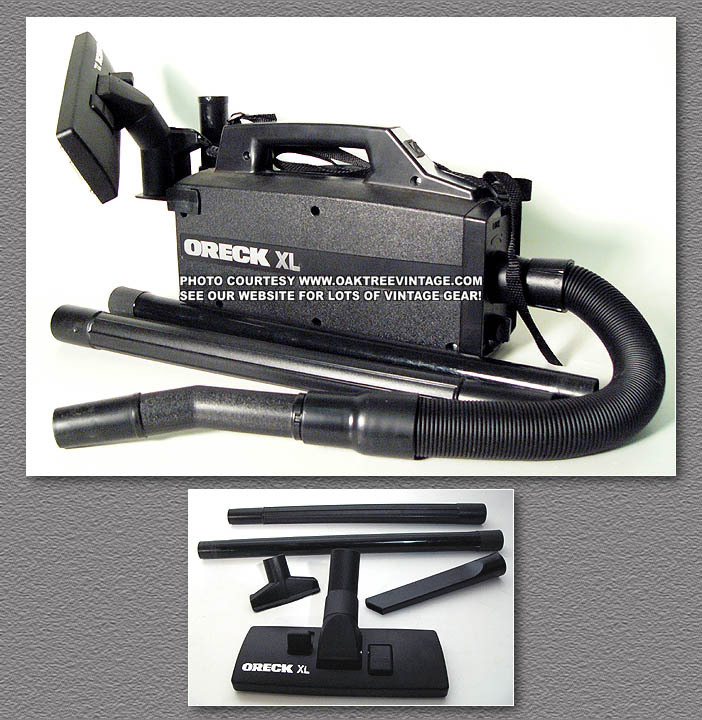 This Oreck XL BB870-AD Vacuum is in great shape and runs well.